Natural Radius Rocker Profile- Creates a tight radius turn that starts with ease and finishes completely. 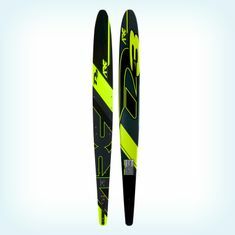 Aggressive Concave Depth- Allows the ARC to grab powerful angle and cross course hold; giving the skier the ability to add direction thru the wakes. The result- a ski that is faster and earlier to the next buoy. Wider Forebody- Provides more support and course width without losing speed thru the turn. The ARC casts outbound better than any ski D3 has ever produced. Tip to tail bevel design- The bevel assembly of the ARC stays consistent from tip to tail to allow a smooth precise water flow. 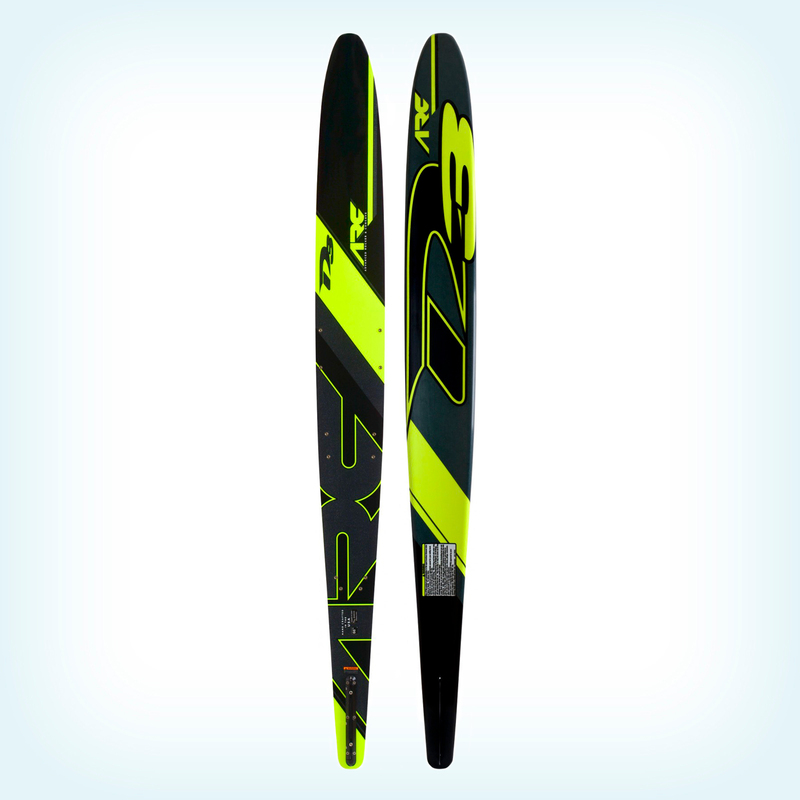 This keeps the ski moving even when aggresively attacking the shortest line lengths. 45/45 Carbon Fiber Laminate Layup- This unique layup allows the ARC to recover from the massive loads of short line turns. This keeps the ARC stable and predictable to maximize cross course direction out of the turns.